Current Biblical Issues including ethics, creation science, and Christian discernment of homosexuality. Author: Kenneth Boa & Robert Bowman, Jr Publisher: Thomas Nelson Publishers Year: 199.. Author: Tony Maalouf Publisher: Kregel Year: 2003 Description: The Unfolding of God's.. Author: Marvin L Lubenow Publisher: Baker Year: 1992/1997 Description: Written for th.. Author: Darrell L Bock Publisher: Nelson Books Year: 2004 Description: A guide book f.. Author: Norman L Geisler Publisher: Baker Academic Year: 1989 Description: A clear, b.. Author: Norman Geisler Publisher: Crossway Year: 2007 Description: This book blazes a.. Author: Henry M Morris Publisher: Master Books Year: 1991/2005 Description: To unders.. Author: John Jefferson Davis Publisher: P&R Year: 2004 Description: In this third.. 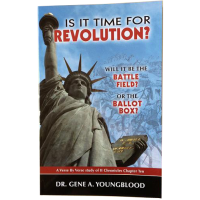 Author: James B DeYoung Publisher: Kregel Publications Year: 2000 Description: This t.. Author: John Hagee Publisher: Frontline Year: 2006/2007 Description: Revised and Up.. Author: Ravi Zacharias Publisher: Multnomah Publishers Year: 2002 Description: Ravi Z..